Higher voltage input will burned the card. That will be no warranty. $USD200 for the V3,V4 card. Offer 2.1mm or 2.5mm DC jack only. Bundle with TZYUN top grade power cable $USD20. It is one of the best audio grade usb cards in the world. This card powered by a external +5V/1A min. from Molex 4pin socket. And doesn't use any power supply from the PCIE slot. But integrated in a small compact size. It is much much better than any regular audio grade output transformer of the world. Design for the low profile chassis (ex. FC5). Win8,Win10,Window serverer need no driver. And this PSU will affect the SQ. You could replace bracket as you need. Recommend to insert on the first pcie x16 slot. The last pcie x16 slot is second choice. V3 USB CARD has used customer made OCXO module with latest version digital output transformer. It is the top grade audio USB CARD of the world so far. Recommend to use 5V/2A min. power supply. The height of V3 usb card is 45mm. Please ensure your server has enough space to install this card. You don't need new driver for the V3 card. V3 card will work fine. It has plenty room for the V3 card and could be driver SSDs at same time without the sound quality down grade. More detail in all frequency range. Much better than any usb card. But burned by higher voltage is not including. V3 USB CARD is no return,Please understand. $USD429 including free shipping world wide. V4 USB CARD base on V3 card but with separate OCXO module. Ideal for the low profile chassis. 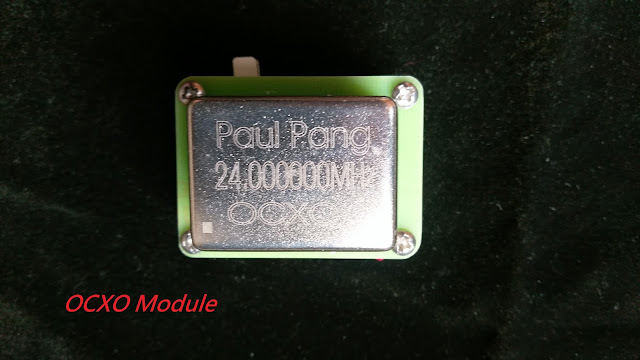 The height of OCXO module is 40mm. And the length of cables could be 20cm to 80cm with no difference. Regular cables length is 30cm. Same price with V3 usb card. 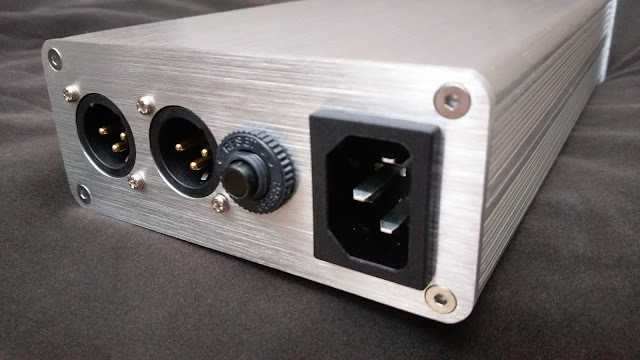 2.5mm DC jack (2.1mm option) allow external PSU input for USB card. I could pick up my PPA V4 card yesterday and the installation went as a breeze. I was up an running in less than half an hour with the proper Renesas drivers installed and was immediately impressed. rather the opposite in fact.I can now here low level subtleties in the recordings I have never noticed before. Please try to scan for hardware changes one or two more times. Recommend to use ASIO out put for the foobar 2000. Hi very nice post. Very useful information regarding isolation transformer and its specifications. Thanks for sharing this useful blog. Hi. If the offboard DAC being used is asynchronous I understand that means the signal is clocked by the DAC, not the PC. In that case, does it matter having a high quality low-jitter TCXO on the USB board? I recommend you to try V2 card and find out it is matter or not. My PPA USB card arrived and a couple of question came to mind. I am running Server 2012 R2 in Core mode and I turned off Plug n' Pray. 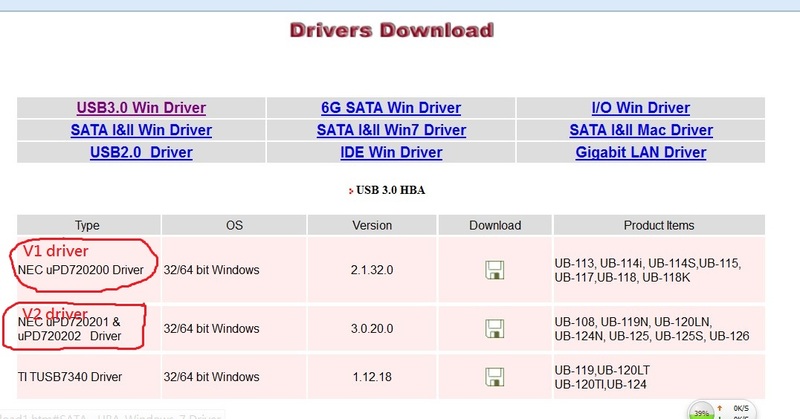 Does the card require drivers in WS 2012? Do I need to exit Core mode and turn on P&P for the card to be picked up by the OS? Hi Paul, I'm running Daphile on a Intel NUC D34010WYK, is this card working on my system? Any drivers needed? Thank you so much. Did it work with Daphile? I am interested also. I recommend you to try V2 card and find out it is matter or not gambar payudara . Thank you! Could I replace an Audiophileo by the V2 card ans to obtain a same or better result ? If not, have you an economic solution for me ? 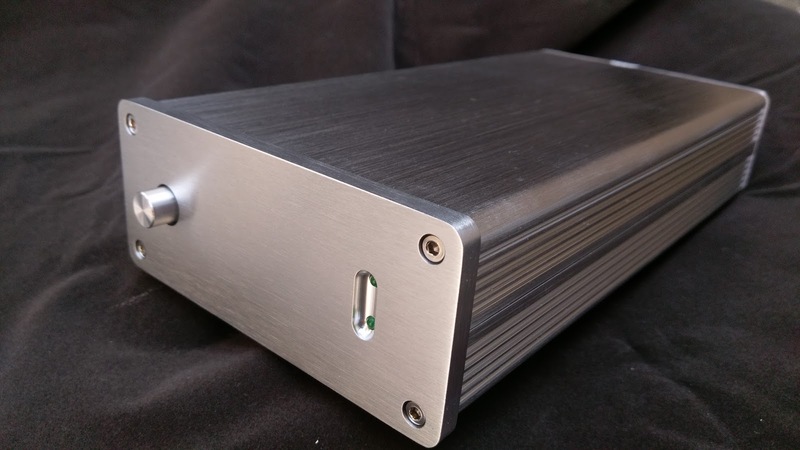 V2 card is design for the high end DDC or USB DAC. Amazing improvement over mobo USB ports! So musical... Thank You for a great product! hello intel mother board I7 chip . what driver do I use . I tried the ver 2 driver but it show sin control panel wrong driver .what do I try. Remove the old driver and install the uPD720202 driver should be work. Hi, may I know if this card fits into an Intel nuc, which I thknk only supports mini pcie. Also does the dimension fits in the box as well? This card is not fits with intel NUC. Order from me is fine also. 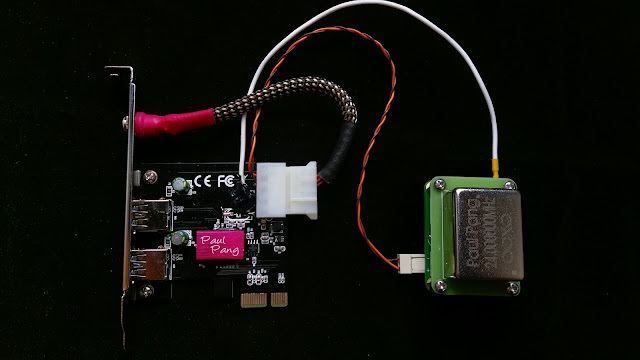 Even your device need no 5V power supply from usb port.. I'm thinking of buying the V2, but don't need the 5v bus power. Does the card work properly (-5v) if i don't power it with 5v LPS? Great product, it improved the sq very much. Works very fine with daphile and audiophilleo usb/ spdif converter. * Is there any loss of performance due to the added 20cm cable length on the V4 card (versus V3)? * Is it possible to order one with a shorter length? Hi, I have your ppa audio card V2. I would like to ask if I can power this up with KingRex Mk2 linear PSU, 13V DC? Higher voltage will burn this card. KingRex Mk2 linear PSU, 13V DC is not compatible with this card. Thanks for your reply. Btw do you sell the cable that connects PPA card to linear power supply? If I'm not wrong, it is molex-to-dc cable? And how much is it if you're selling? Bummer. installed the card using v2 drivers on xp 32 bit system. card shows up, no problem. Plug in m2tech evo. get regocnised, drivers do install. All seems fine! than i can't play music because the evo can't be openend. tried v1 drivers but same problem. Plugin evo into onboard port works directly. I am planning to buy one. I have oppo-ha 1 DAC that uses asynchronous USB version 2. Your USB cards are using USB version 3 standard. Can you please let me know if you can USB version 2 cards? or confirm if I use USB version 3.0 it wont matter in terms of sound quality and compatibility. usb 3.0 card is compatible with usb 2.0 device. Hi Paul. Determined that I have v2 card and so am using correct drivers. Is there anything i can do to get this card working with m2tech evo please ? just got card out and compared to picture. seems there was a rewire done. One wire from red thing is now going to normal pcb instead of upper pcb. now idea why this is but can this be the problem ?? How much for V4 USB 3.0 PCI-E? What's the maximum voltage of the V3 card? I have a 9 volt rail on my power supply which I'd like to use if possible. My computer didn't see USB card. At first, My DAC can detected it. I listened to it for couple of hours after restarted,nothing can be heard. I've just send e-mail to you. The V4 USB card has taken my Audio-PC to an unbelievable level, I highly recommend this card, it is easy to install and fits perfectly in my Streacom ST-FC5WS-Evo chassis with a little modification for the mounting screws. The clock temperature runs at about 30 degrees centigrade, which is no issue. Definitely worth the price. Bcuz not everyone have tech skill at least...me. V4 is my big improvement. Sound more realistic, natural analogy. Feed him with separate lpsu is much more better. It's a boundary where i never reached b4!! V2 is compatible with HRT Music streamer II, please email for the paypal invoice. PPA V4 doesn't work with Brooklyn DAC.... need your help. I just bought a new DAC (Mytek Brooklyn) for a couple of days. After everything connected, my pc didn't see DAC (sometime see, sometime not). I tried everything, uninstalled, installed, plug and unplug back and forth many times but it still be the same. Finally I changed to connect DAC via USB on mobo instead... then it worked. I think it may be your usb card that is not compatible with Brooklyn. Hello Paul, after using your V2 card, I noticed something weird that seems to happen a lot and it's that I consistently get Code 10 errors. I am running Windows 10 and have the correct driver. It drives me insane because sometimes it works and other times it's just in code 10 error. Do you know how to fix this? It's boring so much to keep asking you everyday, Paul. WTF with my 256G SSD ha? Why don't reply me about my repair 256G SSD, i think i should report this to local police and also kaoshiung police because you don't take any response for me. I don't know that it loss or stolen or something. As i only know is i don't receive it . I don't receice tracking number or even deliver date notification from you. If you don't reply me about my repair 256G SSD, i think i should report this to local police and also kaoshiung police because you don't take any response for me. I don't know that it loss or stolen or something. As i only know is i don't receive it and tracking number or even deliver date notification from you. 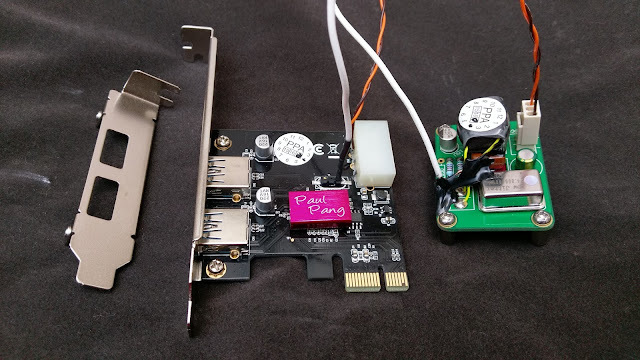 Hello Paul.I am using v2 usb card connected to Singxer SU-1. When i try Audiocadabra dual head usb cable-both heads plugged into V2 card the Singxer not get the signal.But when i plug one to v2 and other head to pc usb the Singxer work. Why i cant plug both to V2 card? I have no ideal what cause this issue,Please try data connector to both use slot of V2 card,If the slots is working fine with any usb slot,This issue may came from the grounding design of your usb cable. well, I took the card out and installed it into an x79 motherboard and it showed up right away. So i took it back to the asrock and reinstalled the drivers. It started working. Bizarre. It must have been an electrical connection. Perhaps the contacts needed a little 'scuffing' to get good contact. Sounds smoother than the native usb. Discovered the problem. The card has to be powered BEFORE the pc finishes its boot. Otherwise the usb card does not respond properly when windows enumerates pc devices and loads the wrong driver. Please use 5V / true 3A output PSU for the USB card, Less current may cause this issue. anyone get this card to work on a mac? In this blog, you give a great information. V3 USB CARD has used customer made OCXO module with latest version digital output transformer.It is the top grade audio USB CARD of the world so far. I find your opinion, thanks for sharing. I've just installed your V2 USB card in my win server 2012 R2 PC and it sounds fantastic! I am really amazed! The card played without the need of installing the NEC uPD720202 driver kit.. Do I have though to install that driver for enhanced sq or just leave it that way?? I am looking forward for your advising and many thnx again for such a fine product! since the latest round of windows 10 updates I am getting blue screen errors pointing to the renesas driver. Device PCI\VEN_1912&DEV_0015&SUBSYS_00000000&REV_02\4&63638ad&0&0008 had a problem starting. is related to user code that tries to execute at a privileged level. I bought the V3 USB card and it sounds amazing! I had an SoTM USB card, both powered by linear power supply and I found that the PPA V3 sounds much smoother and more analogue so I sell the SoTM with no regret. Thanks For Writing Awesome Article For Us Nice To See Details About Electronic Gadget..Share Your Facebook fan page Links Also. I am Dat from Vietnam. I haven't received your USB V2 Card for more than 1 month ( I have transfered you $122.55 USD payment by Paypal on 07/02/2017). Please check again for me! Can you tell me what is the problem ??? The motherboard i am using ( ASUS H110T https://www.asus.com/Motherboards/H110T/) has a compatibility problem with NEC/Renesas USB3 chip (version 0.96).You think it will work with v2 board ? Wow very nice post regarding to electric products i am really impressed after read this post. You said that V2 must be connected to a PCIe x16, but I have only a PCIe x1 available. I will get a lower sound quality? I have changed my chassis and put an HDPlex instead. I put a Riser cable for PaulPang USB V2. Some times windows 10 start with the drivers of Renesas not working. I open the chassis, move the extension cable, restart windows and PP is recognized. I think riser cable is bad, change PP usb card in another slot, try to connecting directly to PCIe x16. Restart windows and not work. Reinstall Windows 10 and not work. Any help is welcome, please. Problem solved: I try V2 in another PC and works. I buyed new mother board and new processor and now V2 works fine. Hello, I have PPA V2(TCXO 25MHz) Board for the chipset of the motherboard. 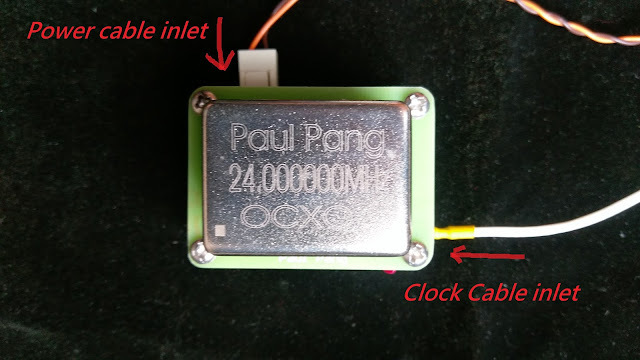 Can I change the crystal oscillator TCXO 25MHz, OCXO 25MHz? What is the price? Sorry that , I lost my low profile bracket for my PPA V3 USB card. Is it possible to purchase the low profile bracket from online shop and ship to HK?